Hangman program for Windows NT. 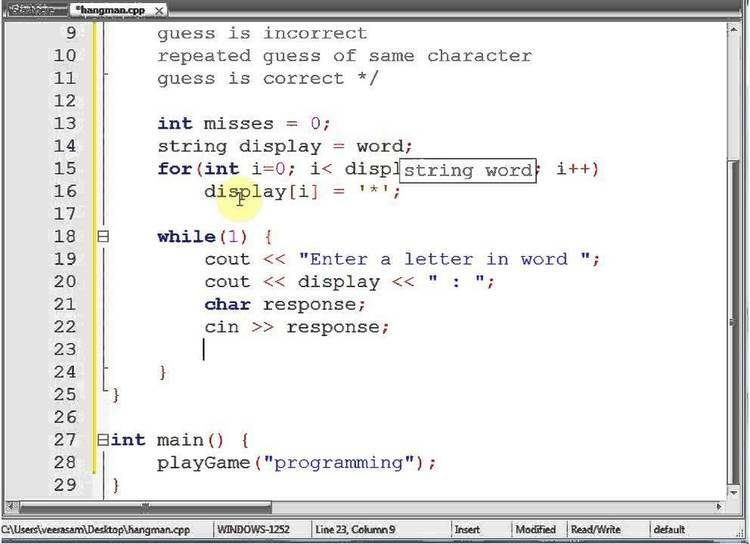 Hangman for Windows NT is a computerized version of the well-known game of hangman. Microsoft Windows NT October Beta or later. The program is made up of the following files: HANGMAN.EXE, HANGMAN.DAT, HANGMAN.HLP, and USERS_GD.WRI. Using the Windows Program Manager, select the File menu and the New submenu. Then select the Personal Program Group button and the OK button. Enter Hangman in the Description field and select the OK button. The program is now installed. After starting the program, if you need further instructions, select the Help button with the mouse. Consult the on-line help for information about other shareware programs from Pocket-Sized Software.